cannot be said when it comes to hotels for demanding travelers. Fortunately, I found a solution to this “problem”, which I will go into later on. 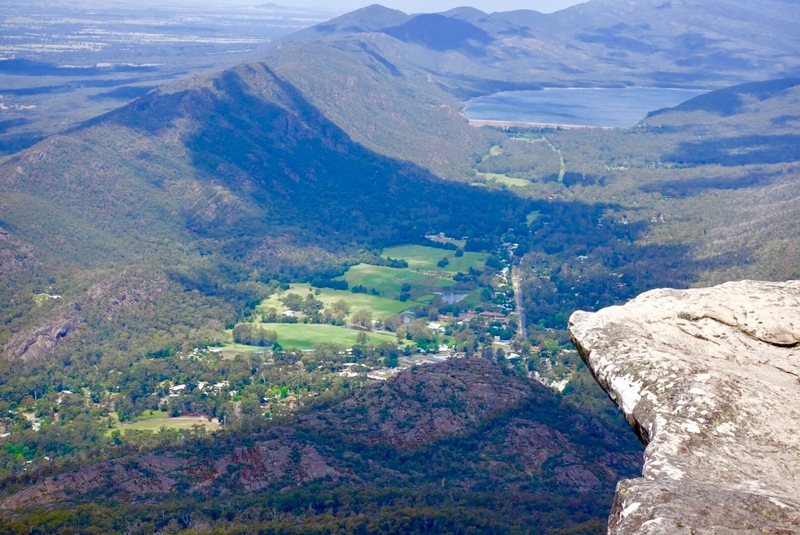 But first I will tell you a few facts about the Grampians in general and what activities you can expect to do here. 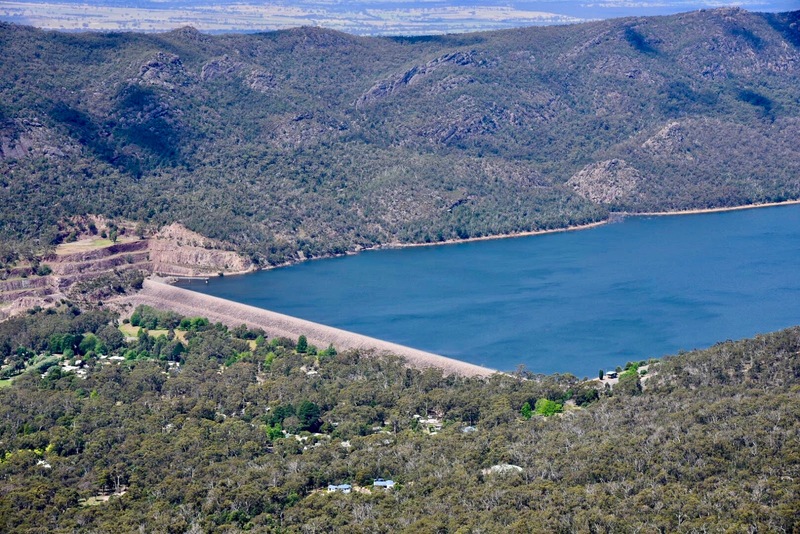 The Grampians can be reached by car from Adelaide in about five and a half hours and from Melbourne in a drive of approx. three hours. This National Park, known for its outstanding natural beauty, is huge. It is divided in several parts. 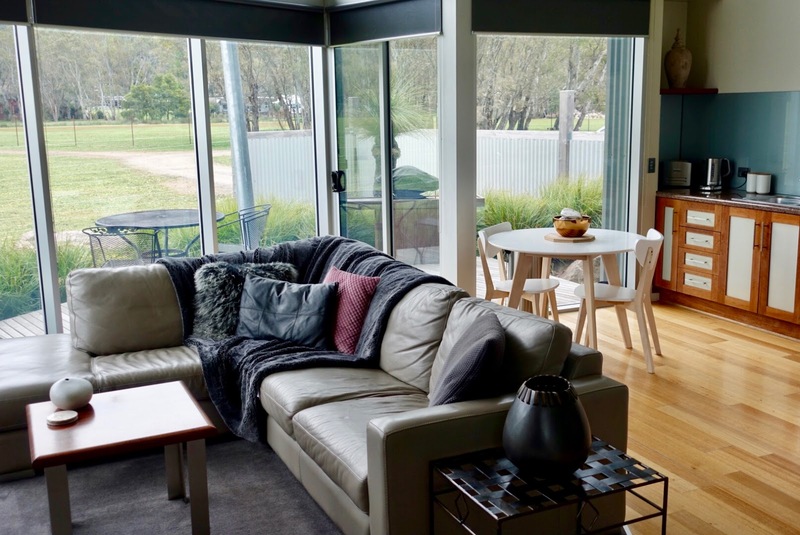 While we chose the central Grampians for our two days here – also known as the Wonderland Range –, you could also head to the northern or the southern Grampians. 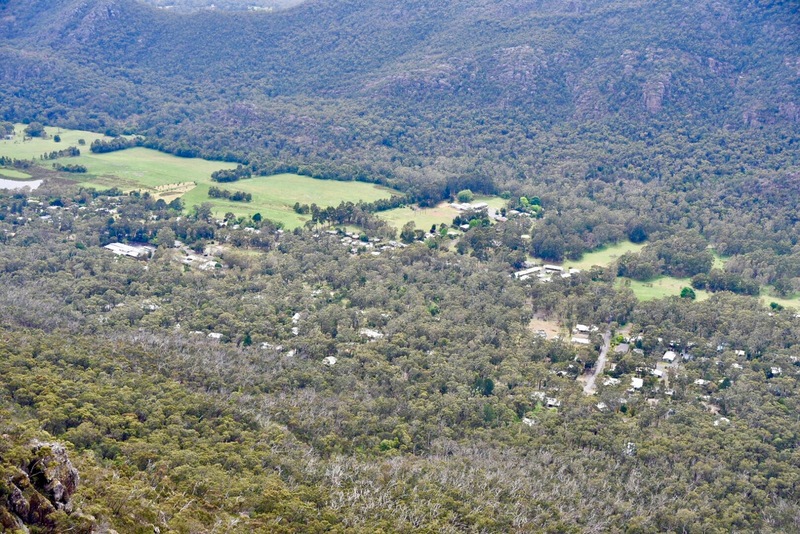 The Wonderland, the heart of this National Park, overlooks the township of Halls Gap – where we stayed – and Fyans Valley. 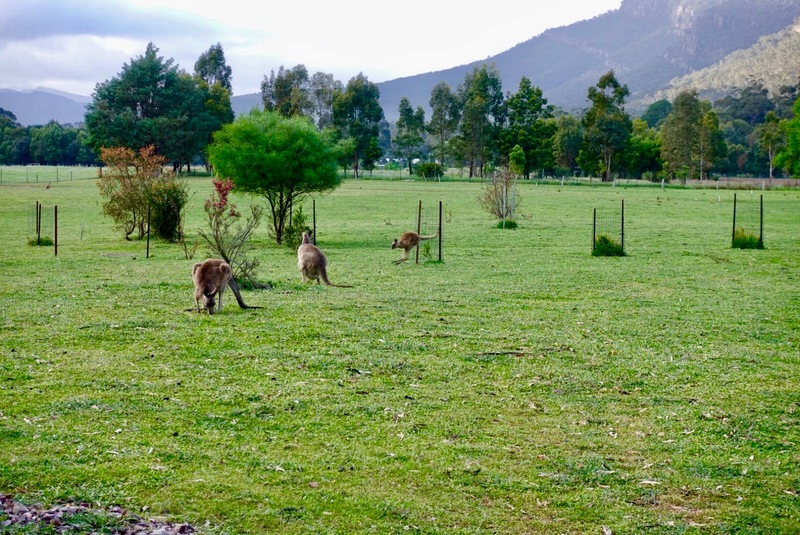 I cannot judge how it is to travel from Melbourne as we came from Adelaide and headed afterwards to the coast to do the Great Ocean Road, but that much can be said, the drive from Adelaide to Halls Gap was one the longest and by no doubt the most boring of our trip! There is not much to see but grazing and farming land and the only break on the horizon being intermittent wheat silos. 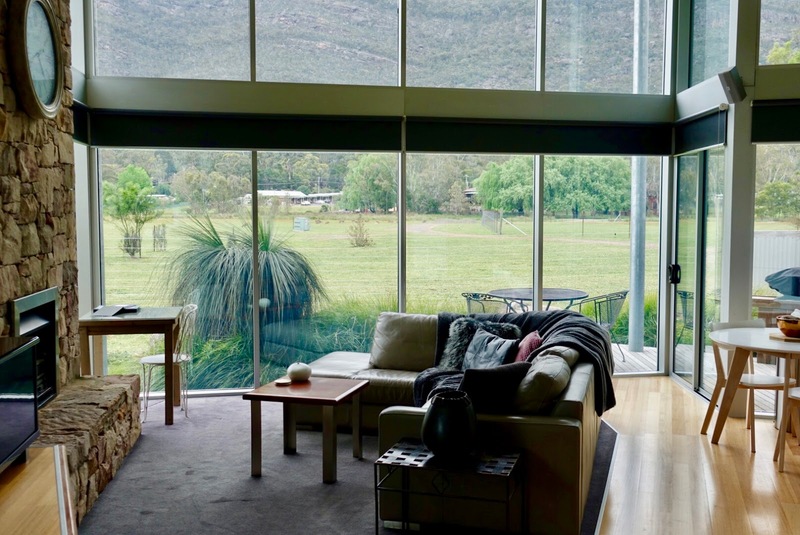 But suddenly, rising abruptly from the surrounding Western Plains, the Grampians appear, and you are in a completely different, breathtakingly beautiful world! As mentioned at the beginning, here it is all about walking/hiking and visiting various lookouts to marvel at the stunning scenery. 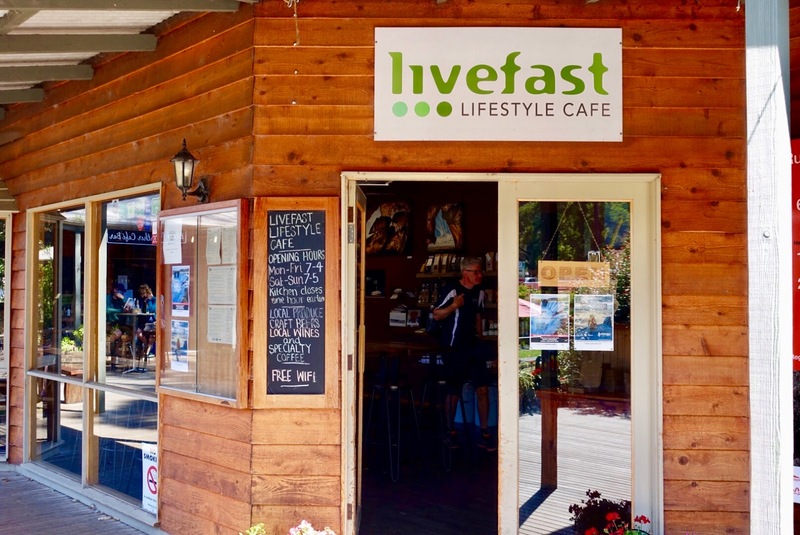 What follows, is – as I think – the ideal one-day itinerary to make the most of your stay here when taking the one or the other (short) hike is your thing. You need a car to do these activities as short drives are necessary to reach somes places of interest. 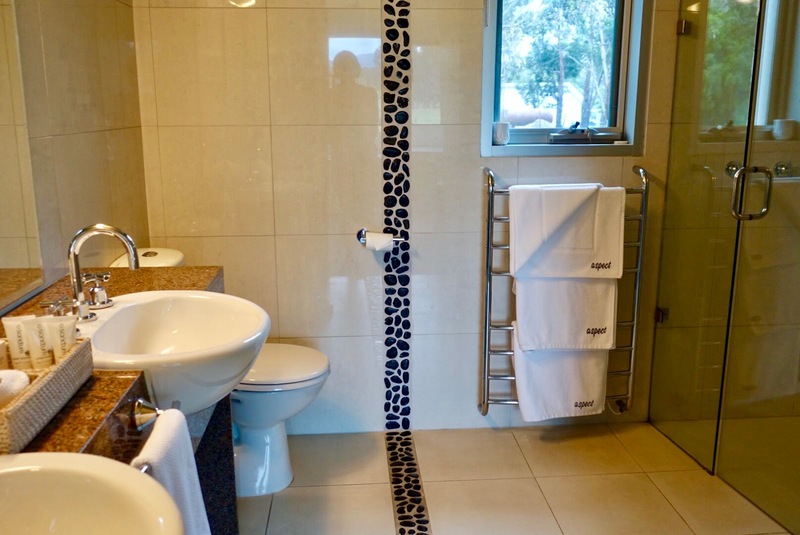 I also give indications on times needed to do the hikes, please note here that my husband and I are quite fit hikers meaning we walk at a rather fast pace. 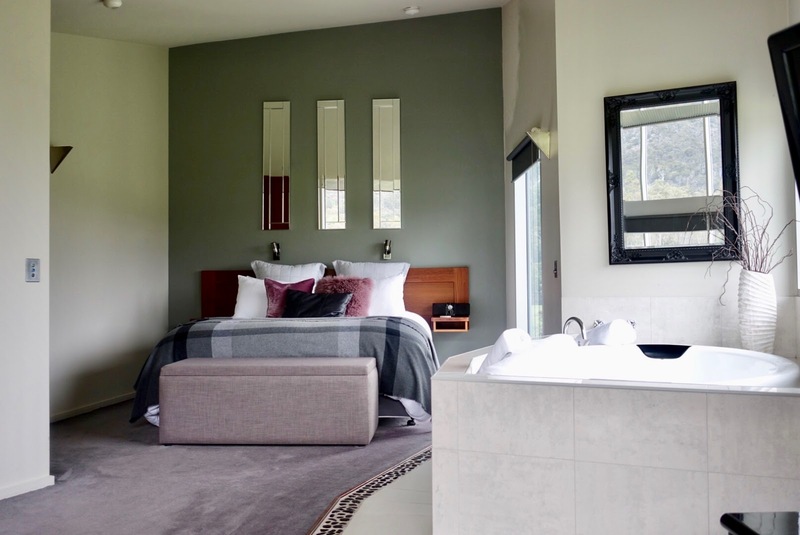 Allow more time if you are more into leisurely strolls. The Pinnacle is the most known peak in the area and allows you – when you reached it – magnificent views of Hall Gap and the surrounding peaks. until you reach the awe-inspiring Pinnacle Lookout. It took my husband and me about one and a half hour to do this walk. 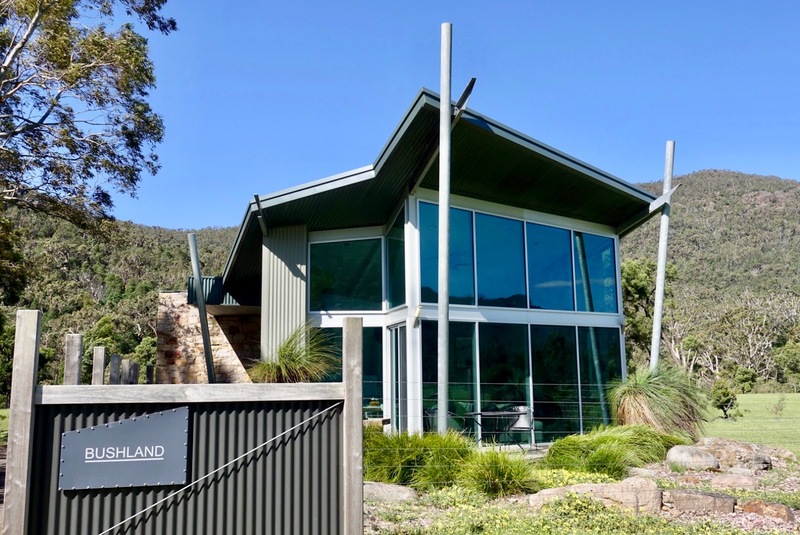 It is also possible to make the walk to the Pinnacle easier by driving up to the Sundial Carpark (distance 4.2 km/2.6 miles return, elevation change 110 meters/361 feet). 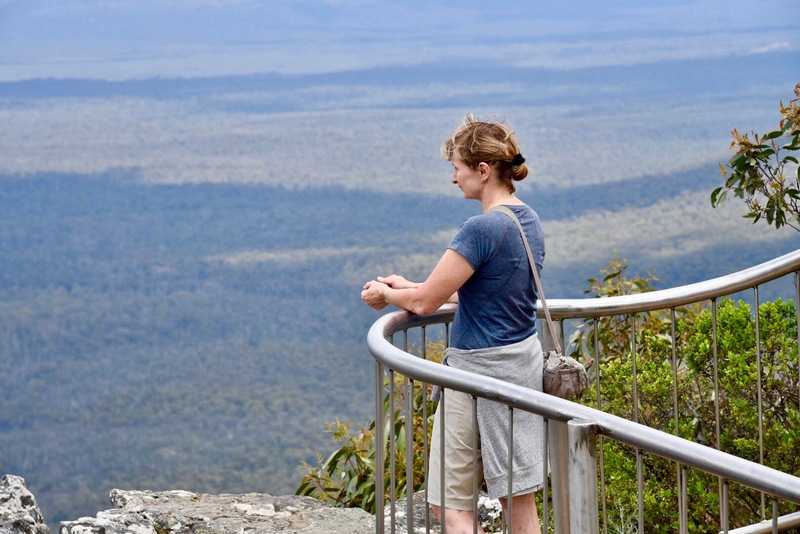 Back at the Wonderland Carpark drive via Mount Victoria Road to the Reed Lookout Carpark and do the easy walk to The Balconies Lookout to enjoy panoramic views over the Victoria Valley. 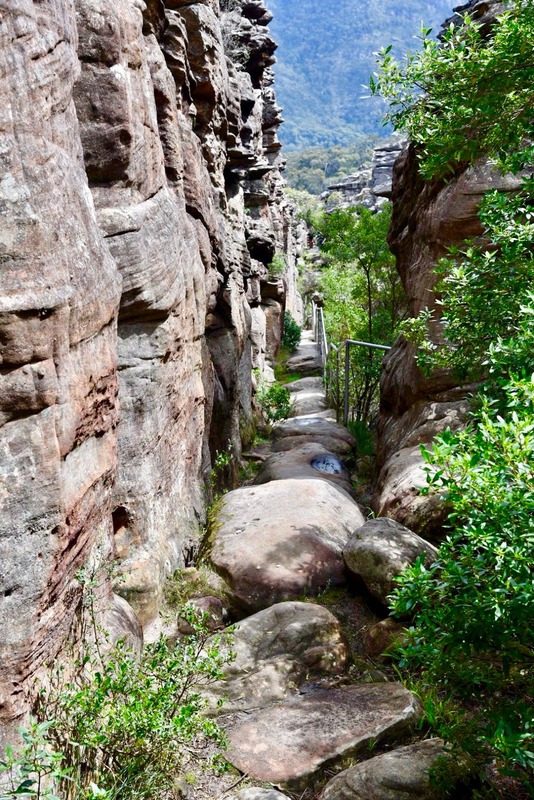 The trail climbs gently through rock outcrops and a stringybark forest and requires a walk of about 35 minutes (distance 2 km/1.2 miles return, elevation chance 50 meters/164 feet). Another short drive brings you via Mount Difficult Road to Boroka Lookout. 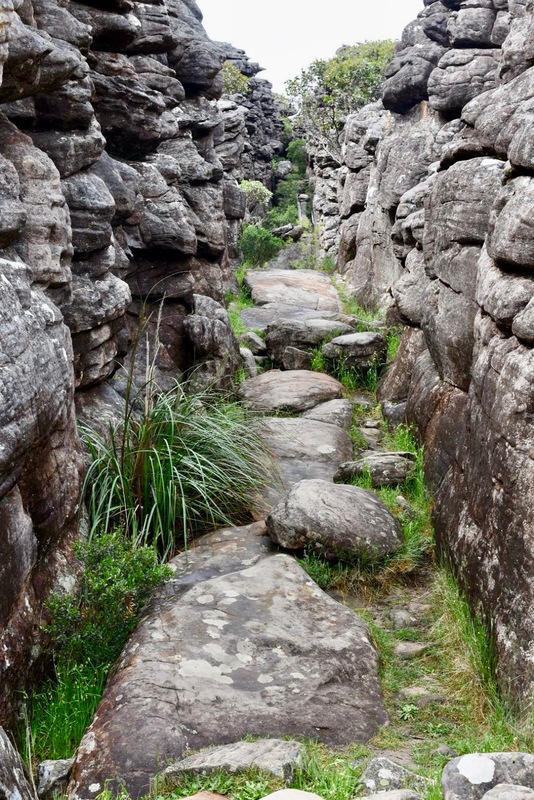 The walk from the carpark is short and suitable for people with limited mobility. 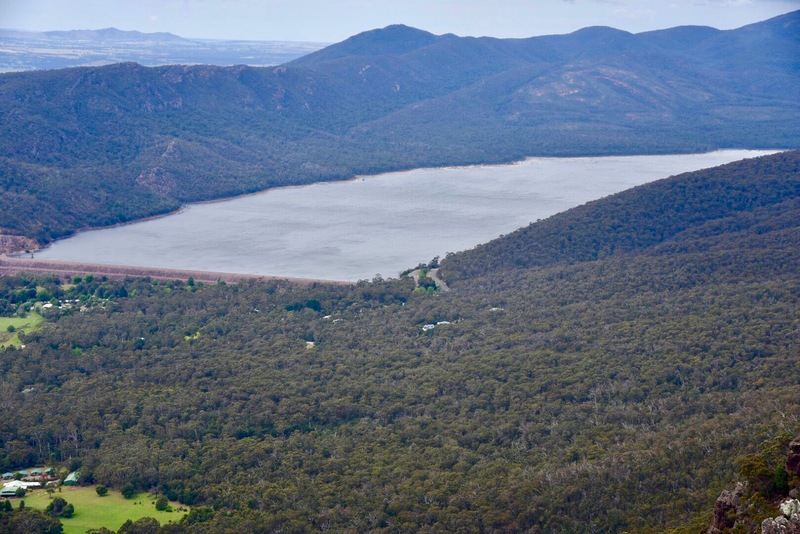 You have spectucalar views of the Wonderland and Mount William Ranges as well as of Fyans Valley and Lake Bellfied. 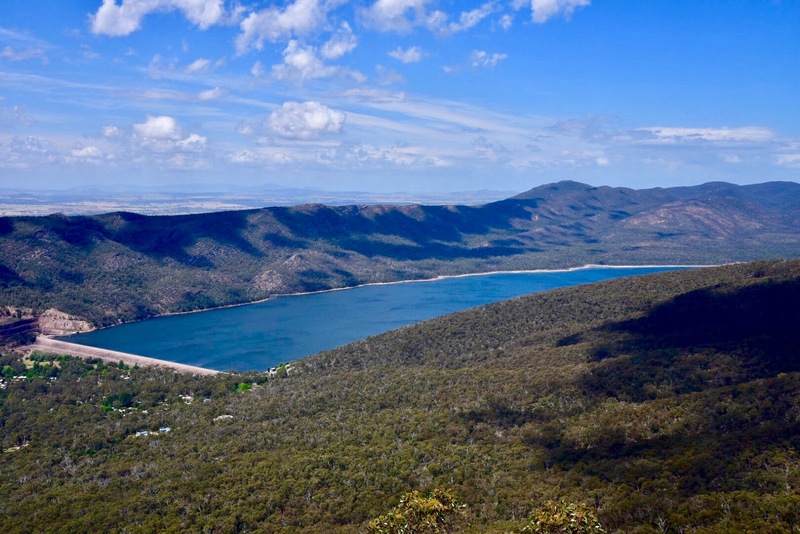 Drive via Silverband Road to the already mentioned Sundial Carpark (easier climb up to the Pinnacle) and do another easy walk (distance 1.8 km/1.1 miles, elevation change 20 meters/66 feet) to a point overlooking Lake Bellfield and the Mount William Range. When you have reached the descent, look left and you can also see the Pinnacle, the lookout which you climbed before. Return to the carpark and view the beautiful wildflower when doing the walk in spring as we did (time needed about 25 minutes). Drive further along Silverband Road (one-way minor sealed road). 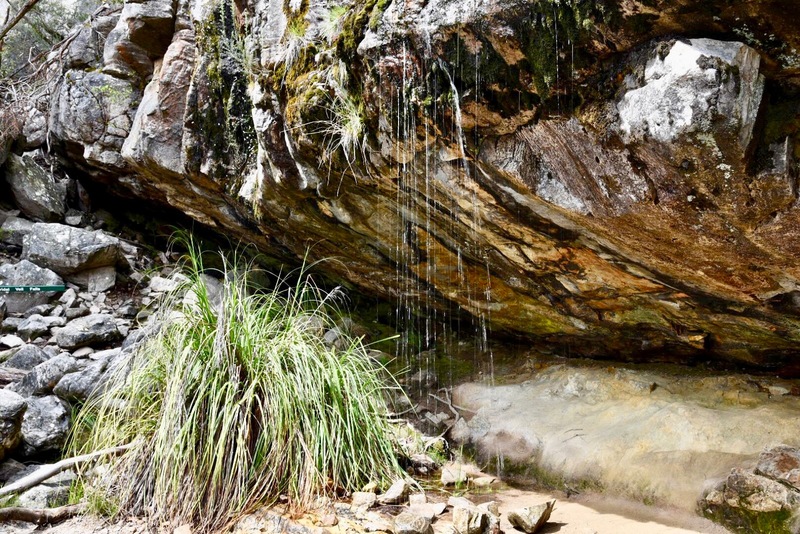 If you have time left and would enjoy another short walk, stop at Silverband Falls Carpark. There is another easy walk to a waterfall that disappears here. We did not do this and drove on to the lake where we had some leisure time at the water. 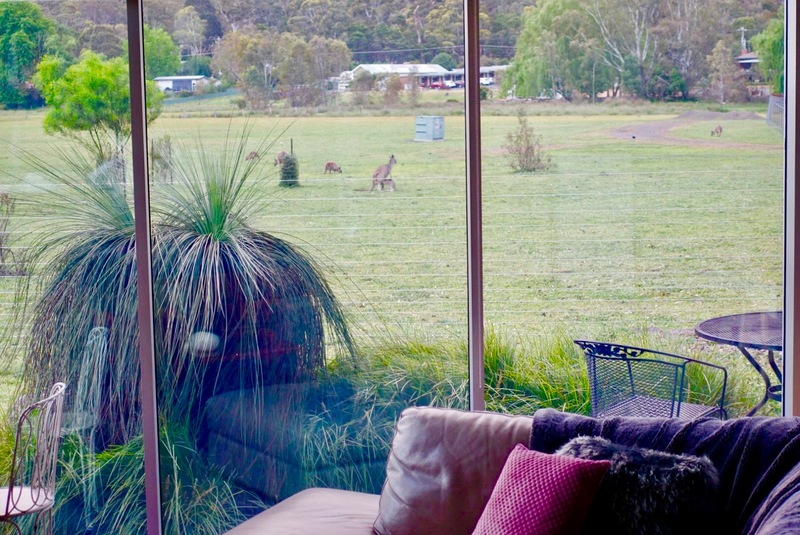 it is like being in an animal sanctuary with numerous close-up sights of kangaroo, wallabies, deer and flocks of white birds on the villa property! 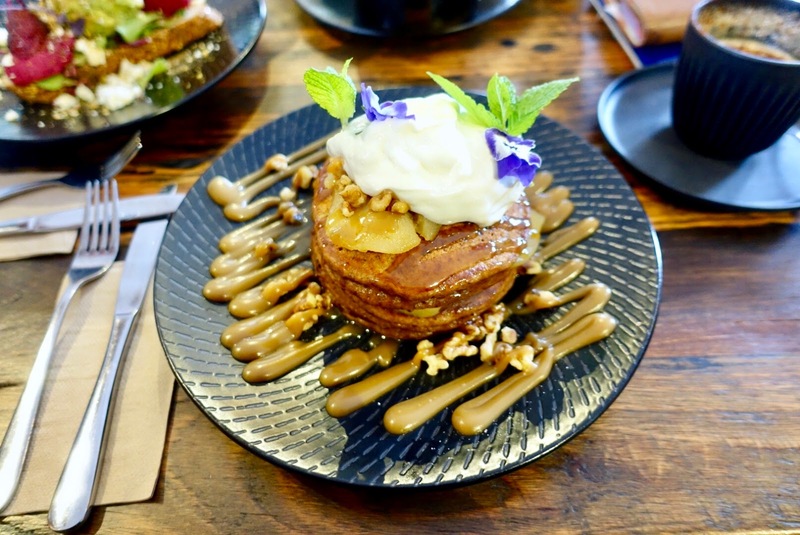 and sticky date pancakes (butterscotch sauce, warm poached apple, toasted walnuts, natural yoghurt). 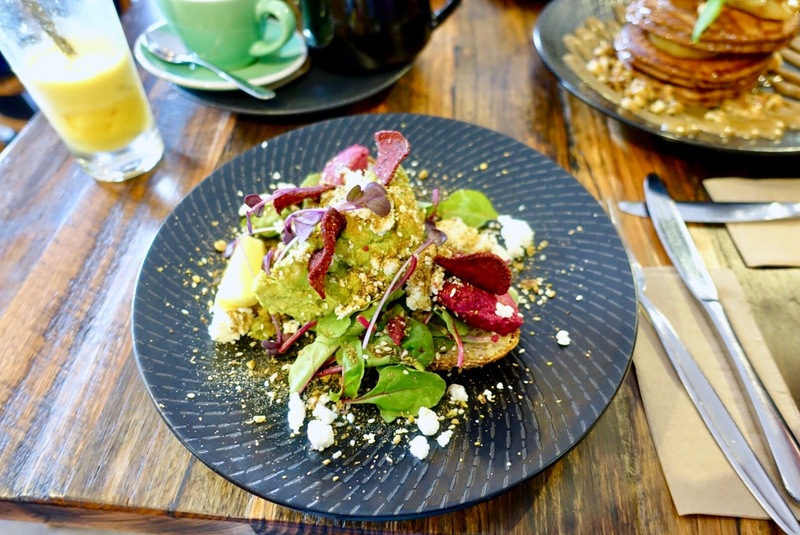 And the fresh juice and the coffee were divine! When it comes to dinner, I suggest that you cook in your villa or throw a steak on the grill. We did not to do this because we were too comfortable, but I wish we had done it! 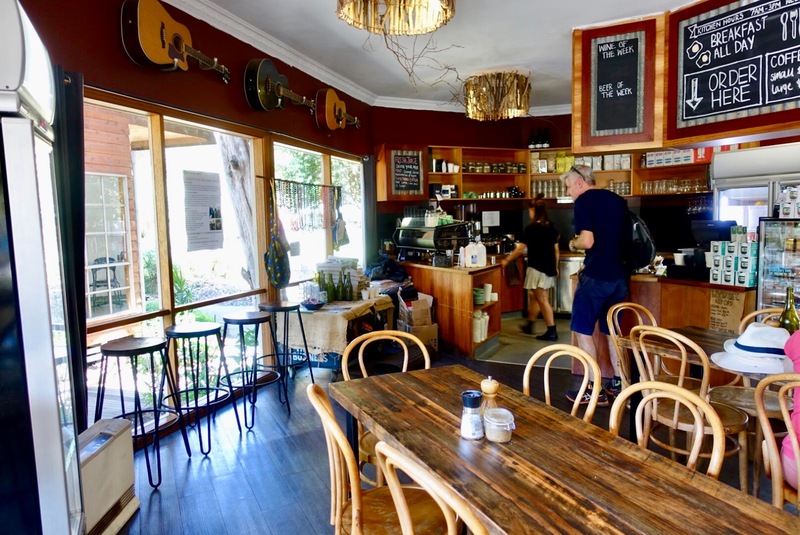 I might have a tip for you when staying in Halls Gap on a Friday, Deirdre’s, tucked away at the foot of the Grampians in Laharum Grove, offering innovative, creative food, but it is quite a stretch to drive (about ¾ hour). I have not been there dreading the long journey on partly unsealed roads. Have you been there by any chance? Let me know how it was, please. 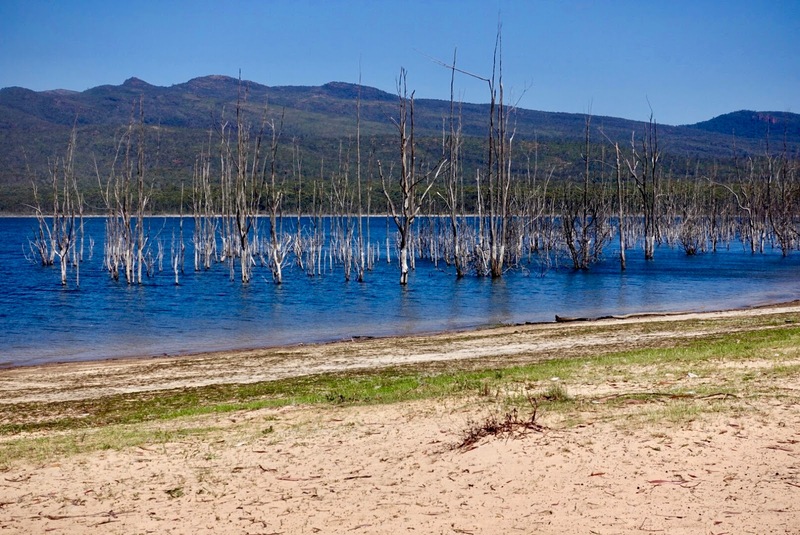 The Grampians, not a long drive from Melbourne and a bit a longer one from Adelaide, feature a series of stunning sandstone mountain ranges and is a great place to spend some days in nature. 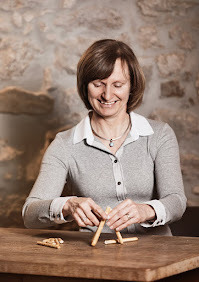 The most popular activity here is walking, there is a wide choice of trails for all abilities. 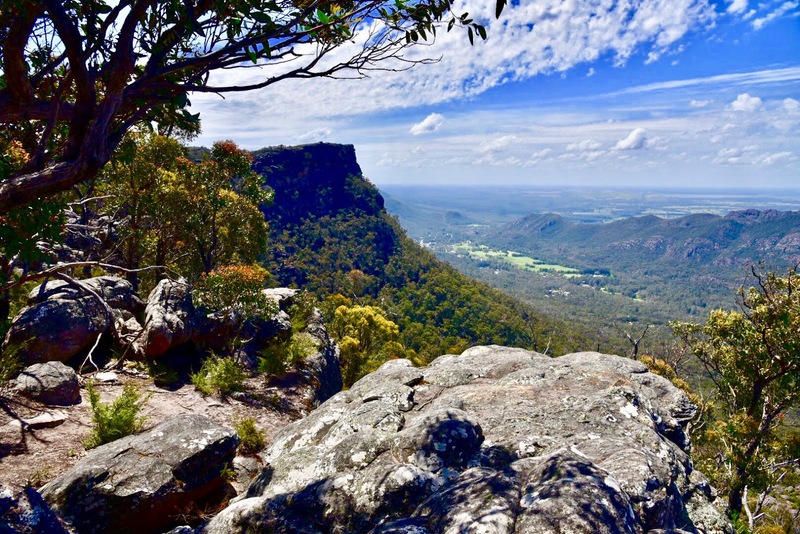 I especially recommend walking to The Pinnacle Lookout, but there is also a lot to do for non-walkers such as numerous spectacular lookouts reachable by car. and give maybe Restaurant Deirdre’s a try!